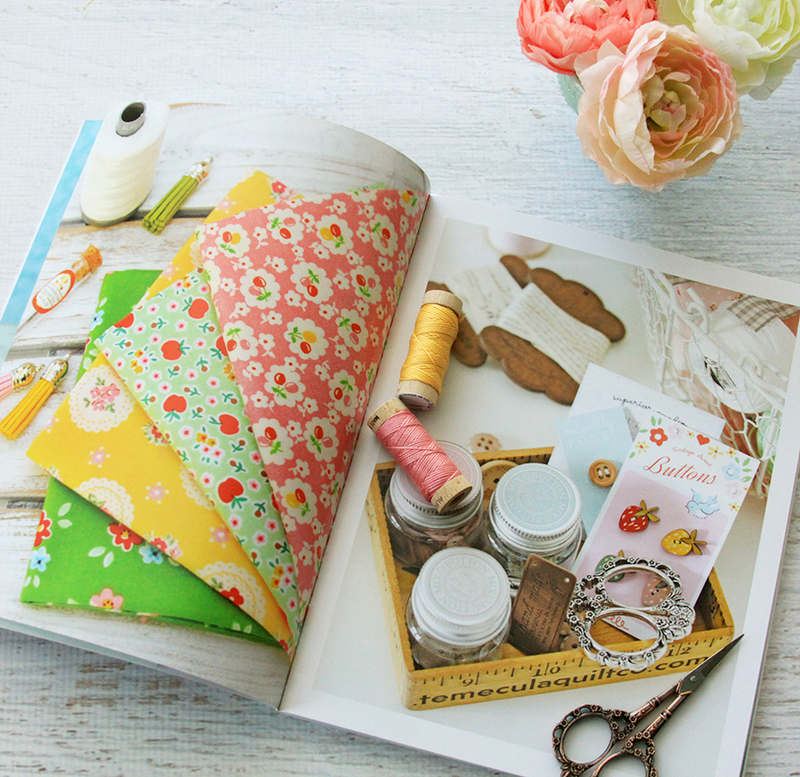 I have fallen in love with a brand new sewing book and I can’t wait to share it with you! 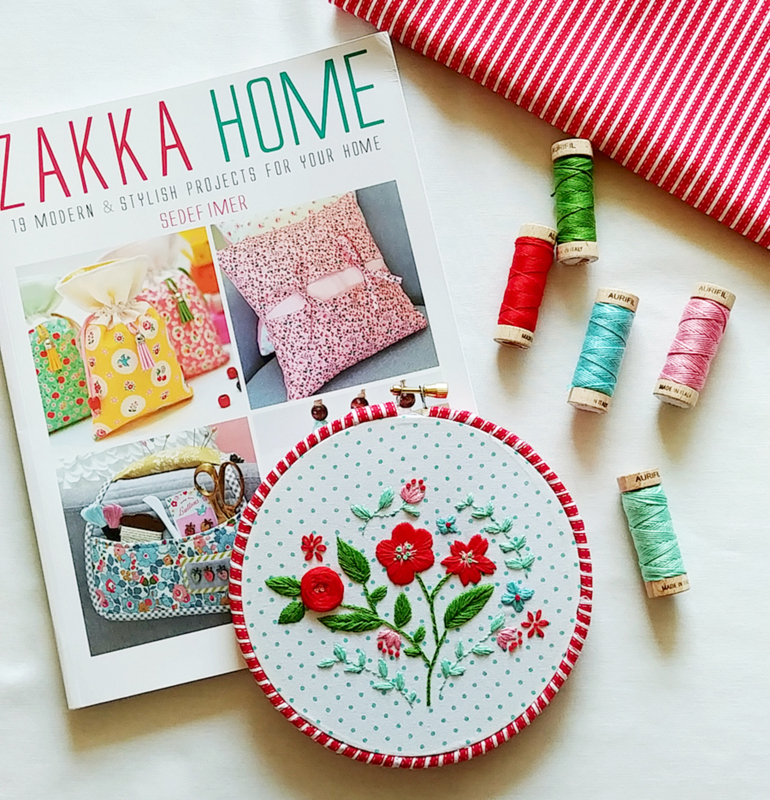 Zakka Home by Sedef Imer from Down Grapevine Lane is a gorgeous new book of sweet sewing projects that I think you’ll fall in love with too. 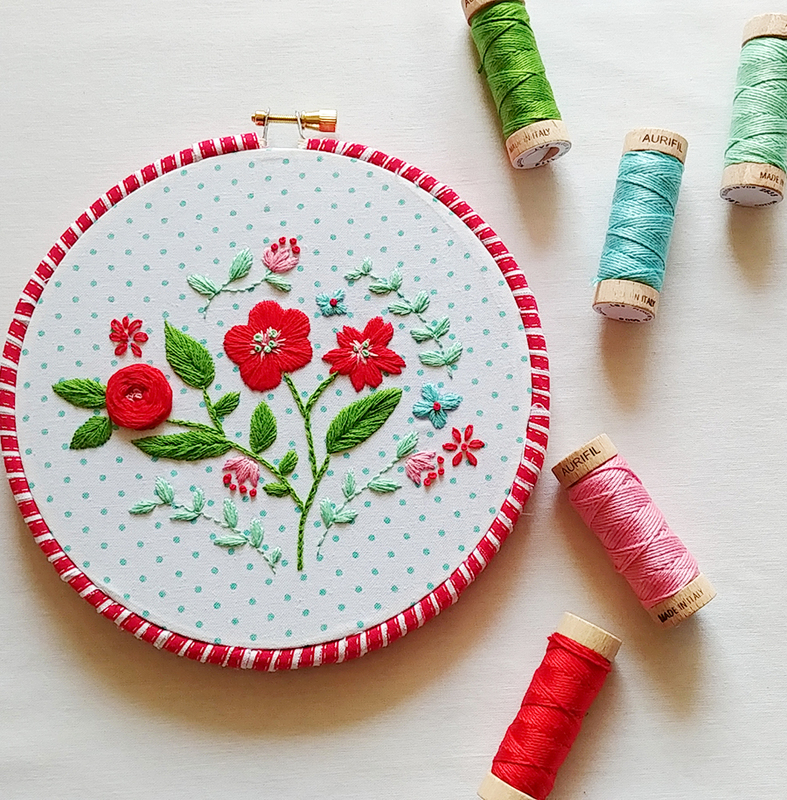 I’m joining in with the book blog hop today and I had so much fun stitching up this hoop project from the book! 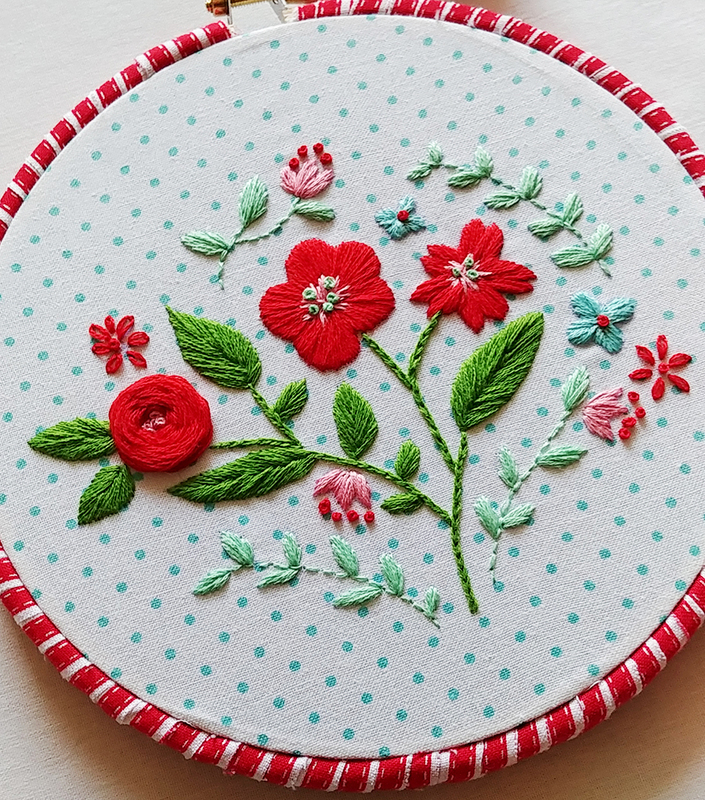 I stitched up the floral embroidery hoop in the book and I switched up the colors just a bit. I thought it would look pretty with a vintage Christmas color scheme and I love how it turned out! I used Aurifil 6 strand floss for the hoop. I really enjoyed working with it! It was so nice to have the floss on the spools as well – it keeps it so tidy. 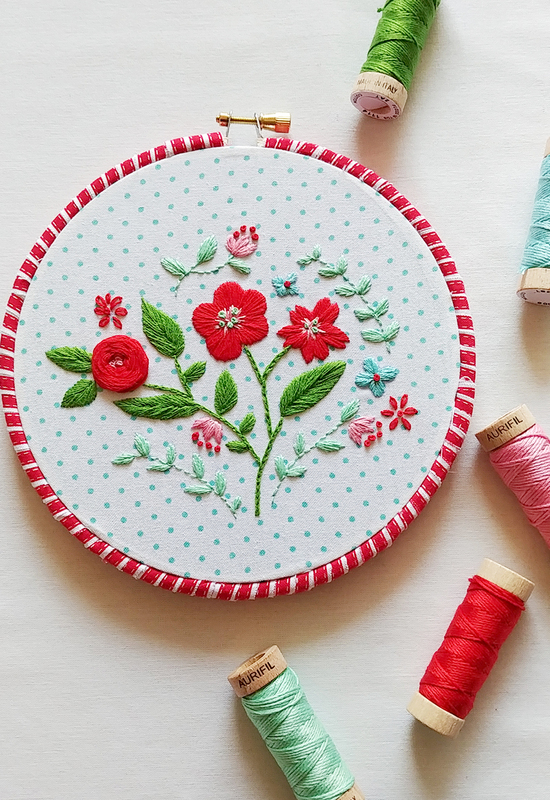 It’s such a fun embroidery project! 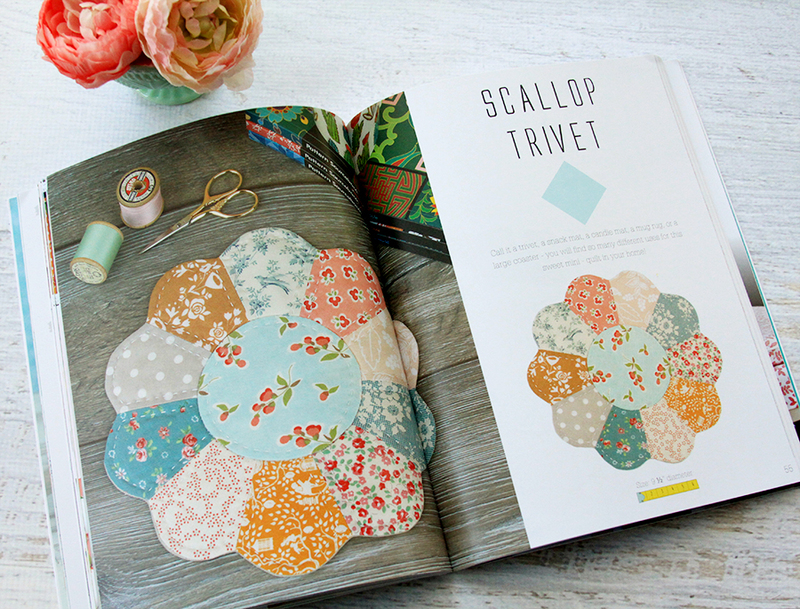 There are so many cute sewing projects in the book as well. I can’t wait to make these up! There is a gorgeous scalloped trivet that I think would look so fun in Vintage Adventure. 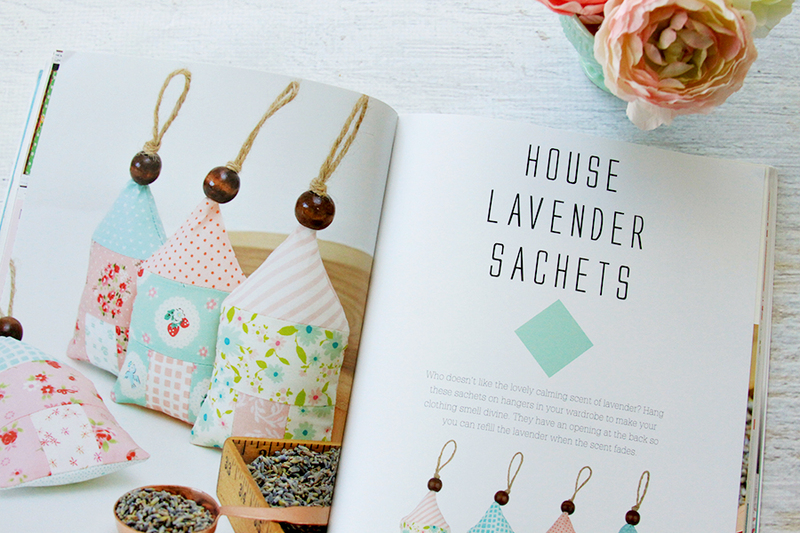 I also love these little lavender sachet houses too. They’d be such sweet gifts! The book is full of the most gorgeous photography. It’s so fun and colorful and there is so much inspiration!! 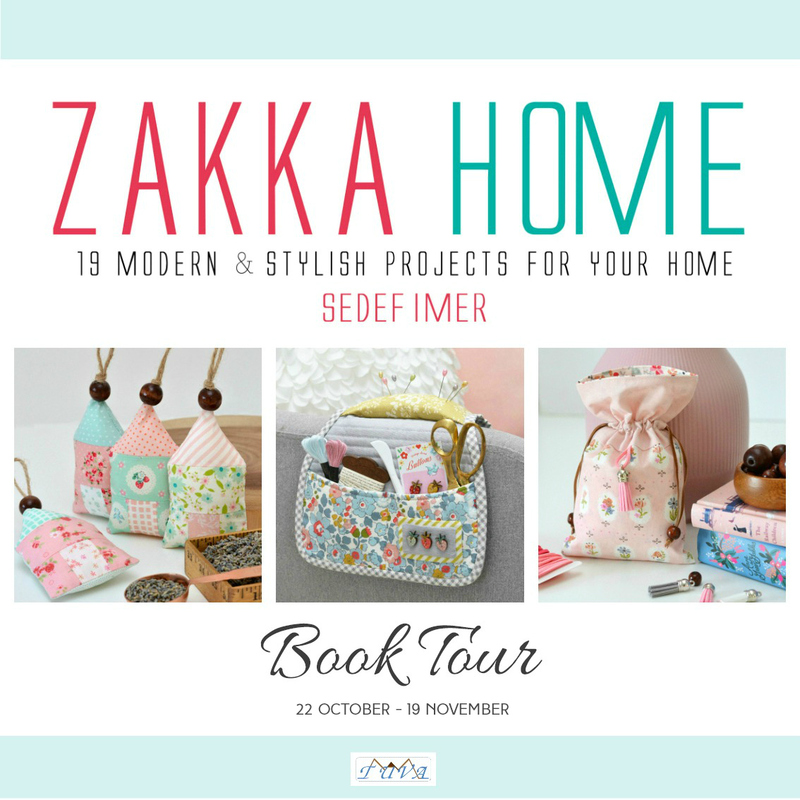 You can follow along with the book tour and see all the other projects at the links below! 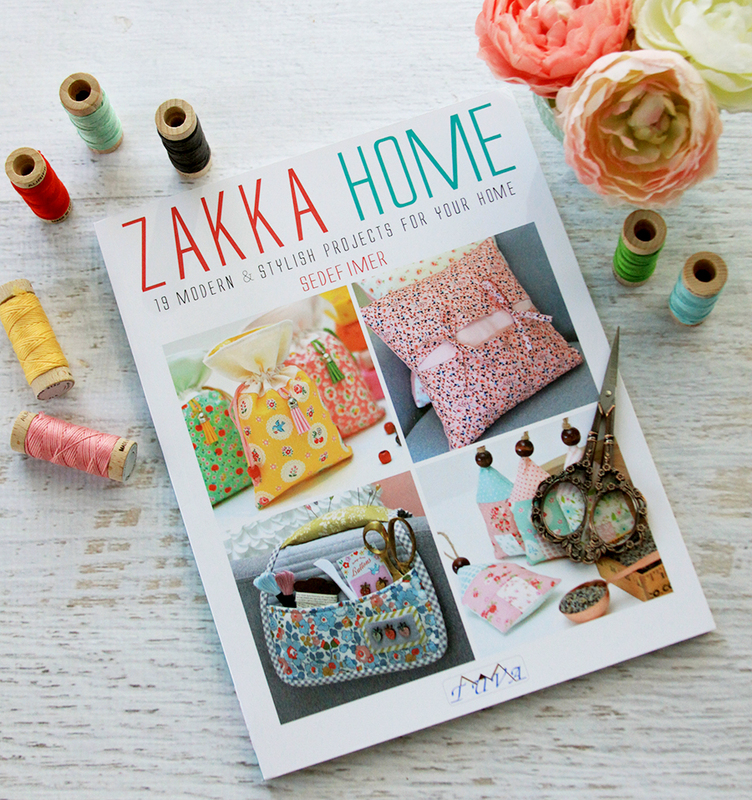 This is such a fun book to pick up for your sewing friends for Christmas (or to sneak under the tree for yourself)!! You can find the book in craft shops and at Amazon (affiliate link). Bev, I absolutely love your version of Sedef’s embroidery. Very festive! I love your interpretation of this piece. Well, actually I love all your book tour assignments. I bought the book already so I may copy yours as it is my daughter’s Christmas colors. Did you do a double binding around the hoop? Thank you Elizabeth! I wrapped the outer frame of the hoop in Vintage Adventure stripe, cut with the selvedge. Super easy and I love the striped look it gives it!